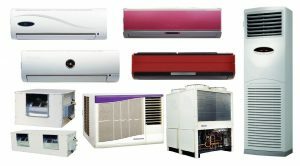 There is a huge rise has been seen in the past years on the cost of refrigerant and other equipment costs so its necessary to avoid these unnecessary expenses by understanding the main parts of your air conditioner. This will help you in understanding the issue and you will be to fix the minor issues by yourself and of the problem is bigger then it is recommended the opt for the repair services. The very first thing you need to do is ask your friends, relatives about the working of the air conditioner if anybody knows. There will be one person for sure who will guide you in understanding the working of AC and explain you the function of each and every part of the machine. This will definitely save your money from unnecessary repairs as you will be able to fix the small issue by yourself and in this way you will be able to take care of your machine by doing proper maintenance once in a month. Sometimes the problem is not much bigger as it seems to be. The main reason behind the issues with your machine is the presence of dirt. It is necessary to clean in a particular time to avoid such issues. This is very simple, all you need to do is switch off your machine and with the help of brush remove the dirt from outside and inside make sure it is properly cleaned. You need to do the cleaning frequently, this will not only increase the life of your air conditioner but also it will increase the efficiency. There are additional cleanings which you need to do like the drain line also need to be cleaned to avoid clogging. It is recommended to change the air filter every month. In this way, you can take care of your machine and try to avoid repairing your machine on your own if you don’t know the exact problem and solution it will even worse the problem so make sure you contact the professional from Indore to get AC repair services. These above tips will help you take care of your machine and increase its life.